We head back to South Australia and in particular the Barossa Valley for a new (to me at least) cheese-maker called Barossa Valley Cheese Company. Just an hours drive north from Adelaide you'll find the Barossa Valley - an area that is most known for it's wonderful wines so it's not that surprising to find that it was a winemaker that turned cheese-maker. While working the vintage in Bordeaux, Victoria Glaetzer found her focus moved to the artisan cheese of the area and when she returned to Australia five years ago she decided to start her own cheese-making business in partnership with her mother. The milk, both cow and goat, is sourced from nearby dairies and they produce a small range of hand-made soft white mould, washed rind and fresh style cheese. I should note that Barossa Valley Cheese Company just won the Champion Washed Rind Cheese section in the 2007 Australian Grand Dairy Awards for their Washington Washrind. 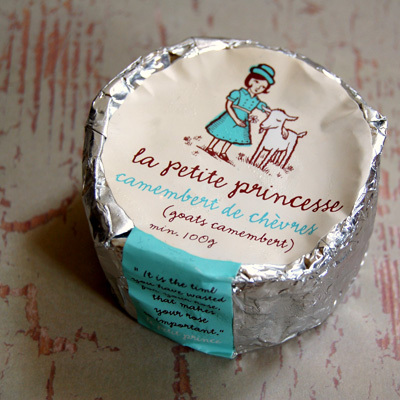 I must admit in all honesty I did buy this cheese for it's label. It's cute, what can I say? 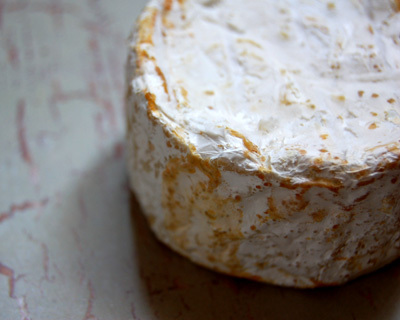 In the hand you can feel a bit of give in the cheese it isn't one of those firm rounds - with maturation you get the sense that it will be one of the wonderfully gooey types of camembert. There's a lovely fresh aroma of grass and milk. It's white mould rind is speckled with a patina of age. I find the rind to be quite fragile and very thin - the rind isn't overpowering at all, just offering a richer and more intense flavour. When I sliced this cheese it had only been out of the fridge for 15 minutes so it's not going to be excessively runny. Of course if you are serving it as part of a cheese platter you'll leave it out to let it reach room temperature - if you are suffering through summer naturally enough you wouldn't leave it out for such a long time. 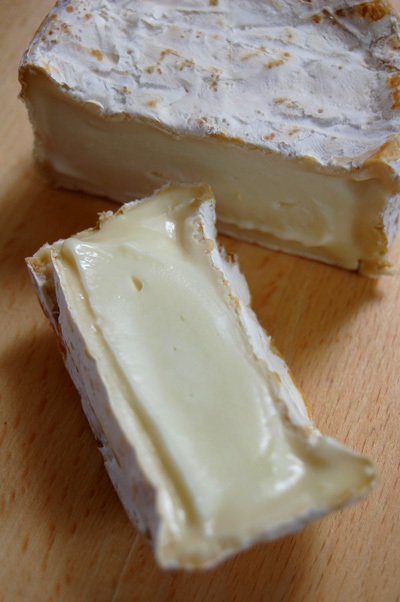 The sweet and silky smooth core is wonderfully complimented by the rind and it's distinctively goat but does not have any of those bitter goat elements that can be found in some goat cheese. There's a mouth filling creaminess followed by an appealing tang to round out the experience. I may well have bought it for the label but I'll buy it again for the taste.